I know I can't be the only one that's watched my favourite YouTubers talking me through how they get their flawless foundation look, for them to whip out a beauty blender and have my eyes turn green with jealousy. How on EARTH do they hold onto it and bounce it across their face with not a care in the world? When I try and use a beauty sponge, my hands get cramp and I end up resembling a t-rex before I've even finished my forehead! After trying a good 3 or 4 different brands and styles of sponges and it happen every time, I decided to steer clear and stick to my trusty Real Techniques Expert Face Brush. That was until I bought the Ready Glow Brush Set which had the sculpting sponge included. I decided to give it a go just in case by some bizarre turn of events it would be the only sponge that worked for me... and it actually was! The shape of it allows me to use the smaller part almost like a handle, meaning I don't get hand cramp when I'm using it (YAY!). It has now become my holy grail tool for applying my foundation, and has even made me love foundations that I didn't like when I applied them with a brush. Honestly, give it a go even if you've promised yourself you're not going to waste any more money trying to make sponges happen for you, cos I'm willing to almost guarantee it will work for you! You can pick it up without the rest of the set at Superdrug here for £5.99. Let me know if you try it out and if it converts you to the sponge life! For a few years now, my lips have been something that I haven’t been 100% happy with. I’ve been researching places to get lip fillers, but never got round to actually booking an appointment. When I heard about Gemini Faces Aesthetic and saw photos of their previous work, I had to book in straight away. I knew that if I thought about it long enough, I’d probably talk myself out of it, so I made the appointment for a few days later. I headed to my appointment at 7pm, and was greeted by Sally and Amy. The girls applied the numbing cream to my lips and then gave me a 15 minute consultation whilst the cream took effect. They asked what my concerns were and if I knew what I wanted as a final result. I took along some photos to show the kind of thing I wanted, and told the girls that my main concern was that my lip line is quite wonky and they’re extremely thin towards the corners, so I felt like they disappeared when I put lipstick on. They talked me through the procedure and what they would do, where they would inject and why. The main focus throughout my procedure was injecting into the lip line to create a fuller border and give me the shape that I want, and then adding plumpness to the corners where I lacked it. The actual injecting aspect took about 15 minutes, and I’m not going to lie, it was quite painful. It was the kind of eye watering, stinging pain that you’d expect from injections, but then your lips are very sensitive so it felt a bit more intense. My eyes watered so much that my mascara was all down my face by the end of it. Once it was finished, they checked I was completely happy with them, which I was! I actually couldn’t believe what I was seeing. They’d managed to achieve exactly what I wanted! The girls were so lovely and friendly and they made me feel so relaxed. They answered any questions I had and couldn’t have done any more to make sure I was happy and comfortable throughout. When I mentioned I’d been considering microblading, they even offered to do a patch test and I had my eyebrows mapped out how they would look so that I could make a better decision. They definitely looked better than the brows I achieve daily (with my very limited skills). Now for the before and after photo! Straight after the procedure, my lips were not painful. The numbing cream was still working so I couldn’t feel any soreness. As the numbing cream wore off, my lips started to feel tingly. They felt quite hard and swollen and quite bizarre on my face as I could feel my lips were bigger than I was used to. My lips were much more swollen (which is to be expected). The bruising started to appear and they still felt hard and swollen. They felt very dry so I bought some lip balm to help keep them hydrated. They were aching a lot towards the end of the second day. More visible bruising, but the swelling had gone down and my lips don’t feel as hard or foreign on my face as they did. I can honestly say it’s one of the best things I’ve ever done for myself. I would recommend Gemini Faces Aesthetics to anyone considering getting lip fillers. Let me know if you have any questions or are considering getting lip fillers yourself! Once I heard that Superdrug had a vegan pop-up shop in Shoreditch, I had to rush down there! The store is very small as it is only a temporary pop-up, but it's great as it's easy to pick up some new products with peace of mind that it's vegan, without having to spend an hour in the store checking all of the labels. There is a sign in-store which states "At Superdrug, we define vegan as: the product does not contain any ingredients that are animal derived (including animal products like honey and beeswax) and all ingredients are classified vegan by the raw material suppliers" and states that the store is 100% vegan. Although the pop-up is small, it does manage to cover all bases: make-up, haircare, skincare, shower/bath products and even fake tan. 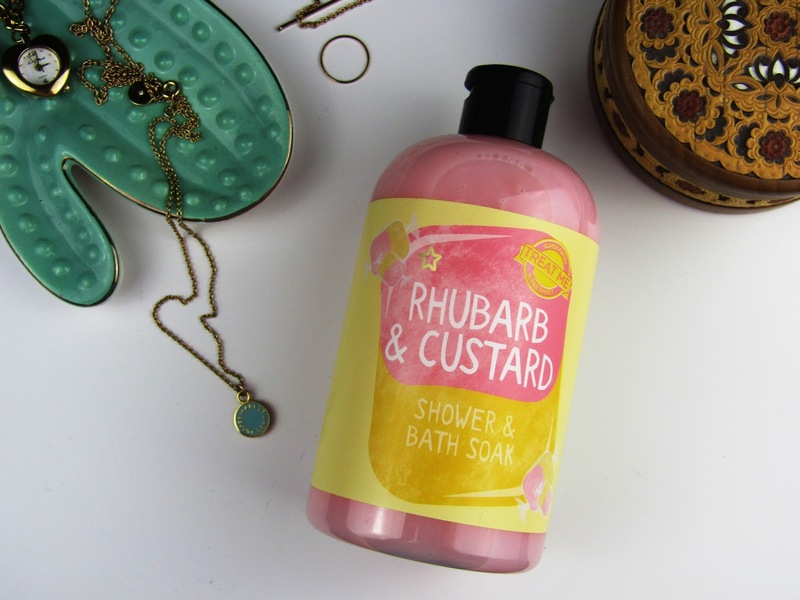 I picked up the Rhubarb & Custard Bath and Shower Soak as it always reminds me of getting the sweets when I was younger. It smells exactly like them, and not only is it great for the perfect bath, it's also my favourite make-up brush cleaner. I'd definitely recommend popping in and grabbing your essentials, or discovering some new cruelty free products without the worry that you're missing an ingredient that you don't want to use, or having to search endlessly for the bunny symbol.